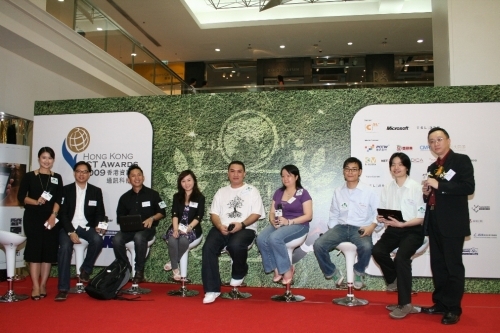 [Hong Kong, 25th August 2009] Organized by The Hong Kong Information Technology Federation (HKITF), and supported by the Office of the Government Chief Information Officer (OGCIO), the Hong Kong ICT Awards 2009: Best Lifestyle Award held its launching ceremony today at Ocean Terminal Main Concourse of Harbour City at Tsim Sha Tsui. 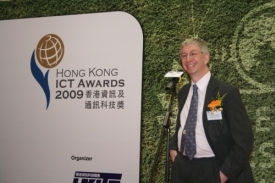 The Hong Kong ICT Awards 2009 is the most prestigious information and communications technology (ICT) awards in town. Supported by the Office of the Government Chief Information Officer (OGCIO), the Hong Kong ICT Awards comprise of nine awards. This year, Hong Kong Information Technology Federation (HKITF) has been honoured to be the leading organizer for Best Lifestyle Award. The Award is categorized into three streams, including Green & Healthy, Social Community and Creative & Free Living, expecting to attract more and higher quality entries. 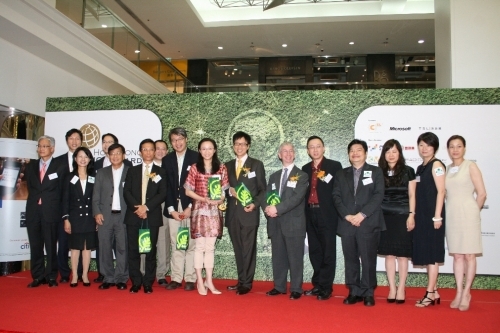 The Award’s launching ceremony was officiated by the Chief Judge of the Award, Mr. Stephen Chan, General Manager of Television Broadcasts Limited (TVB) together with Mr Daniel Ng, President of HKITF, Mr. Jeremy Godfrey, Government Chief Information Officer and Mr. Francis Fong, Chairman of the Organizing Committee for the Award. The organizing committee is honoured to have Legislative Council Member Hon. Ms. Tanya Chan, Mr. Ricky Wong, Chairman of City Telecom (HK) Limited and Dr. William Lo Wing Yan, JP, to be the Chief Assessor for the three award streams respectively. Mr. Erwin Huang, Vice President and CEO of TSL Jewellery hosted a “Lifestyle tea gathering” together with Ms. Tanya Chan, Mr. Ricky Wong to have a chat over a cup of tea and share their insight on IT and quality lifestyle. As the social media is getting popular in the community, blog writing has become one of the daily activities. Therefore, “Bloggers’ Favourite” section was held and invited some local renowned bloggers to share their most favourite digital gadgets and its impact to enhance quality lifestyle. The ceremony was concluded successfully after the relaxing discussion. The objectives of the Best Lifestyle Award are: to promote greater use of ICT in the community; to encourage local and original software development and promote improved creativity in the exploitation of technology; to educate the community about the importance of ICT in their daily lives; and the promotion of the winning entries’ would lead to their greater and better use by our community for the betterment of our quality of life. Hong Kong ICT Awards 2009: Best Lifestyle Award is sponsored by CSL Limited, Microsoft and TSL Jewellery, also supported by: NetFront, TechNow, Zizsoft, PCCW/NOW TV, Next Media, CMRS, Darizi and Talent Communications. Special thanks to OGCIO for the support and sponsorship, TSL Jewellery for sponsoring trophy and Harbour City Estates Limited for the excellent venue.